On one recent weekday night without concrete dinner plans, I poked around in the pantry for inspiration. After moving a couple of cans of coconut milk and chopped tomatoes out of the way, I discovered a jar of Robert Rothschild Farm Hot Pepper Berry Patch preserves and a carton of grits. There was also some shrimp in the freezer and leftover cooked bacon in the fridge. 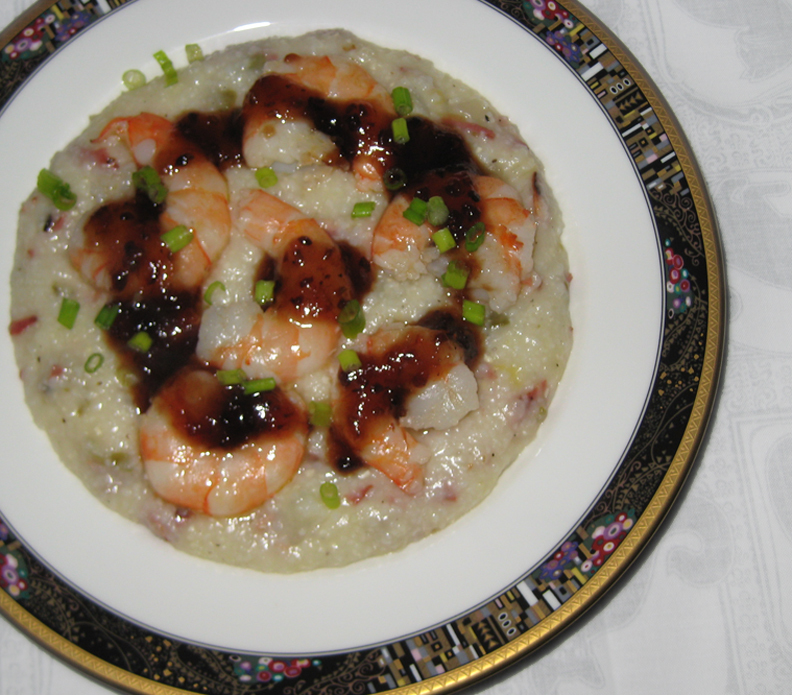 Thus armed, and inspired by Top Cheftestant Grayson Schmitz's Polenta with Bacon Wrapped Shrimp & Port Wine Fig Sauce, I thought I'd make my own sweet-and-savory shrimp and grits. 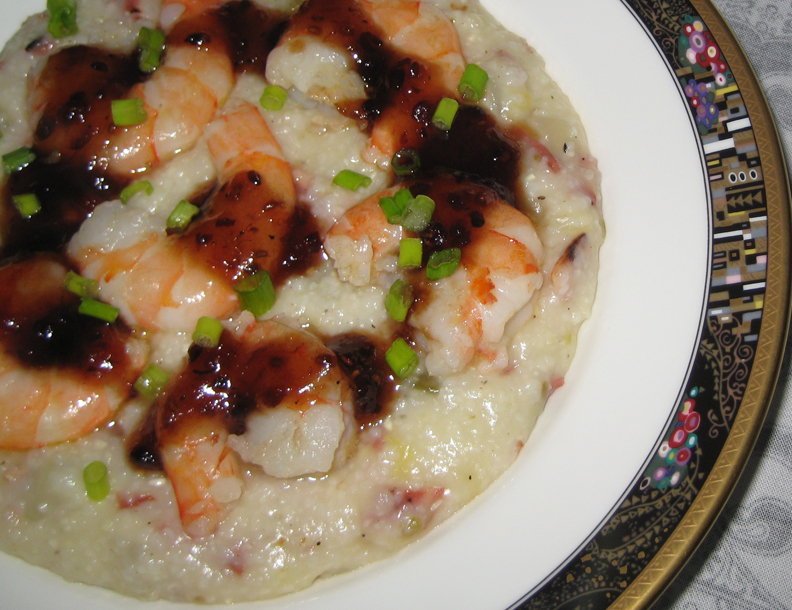 The sauce was pretty sweet, but it played nicely with the very savory grits. Combine first six ingredients in a saucepan. Cook over medium heat until mixture bubbles and thickens and reduces a bit. Stir in butter. Set aside. Heat olive oil in a 2 quart sauce pan. Add onion and pinch of salt. Cook until onion becomes translucent, then add chiles and garlic. Cook for 5 minutes. Turn up the heat, add water, and bring to a boil. When water is boiling, slowly stir in the grits. Reduce heat to medium-low and cook grits, stirring occasionally, until they thicken, about 20 minutes. Stir in cheese and bacon, add salt and pepper to taste. Serve both with shrimp sautéed in a bit of garlic butter.